Add your hotel(s) to our website. It's easy. Just fill out the form below and we'll take care of the rest. We'll send you a link on where to find your hotel property. Currently the listings for featured hotels in Chicago is FREE! Please fill out the form below to participate with Austin, TX Hotels. Upon submission, one of our associates will be in touch with you shortly to see if you need more information or if you have follow-up questions. Type your property description here! Type your location description here! For example, This property is located in the downtown area. Please select the amenities of your property. I am interested in becoming a Featured Hotel on Austin TX Hotels. Have someone contact me. I am interested in Advertising on Austin TX Hotels. Have someone contact me. 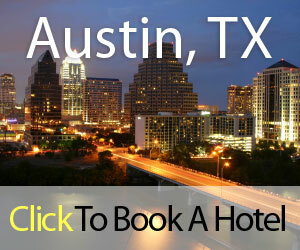 I am interested in providing Special Rates on Austin TX Hotels. Have someone contact me. I am in a position that gives me the authority to submit this information for your use on Austin TX Hotels.